Sammy Hoyle (1800–1873) of Norland, an isolated village near Halifax in the West Riding of Yorkshire, was a Methodist lay preacher of the nineteenth century. Converted to Methodism from a life of gambling, he became a powerful lay preacher who was never afraid to speak his mind in the pulpit or out of it. In another version of this story, he used a pair of pliers to wring the man’s nose. Needless to say, this is not a recommended method of apologetics! P.S. I am indebted to Gervase Charmley for drawing my attention to the fearless Sammy Hoyle of Norland. See the account of his life in See David Whiteley, ed., Illustrious Local Preachers (Bradford: Thornton & Pearson, 1891), 254–262. See Whiteley, ed., Illustrious Local Preachers, 257. It is not mere good neighbourhood, or civility between man and man. It is not mere friendship. It is not mere respect on account of religion. It is not mere party attachment. It is not that excessive and mistaken attachment which shall lead us to idolize and flatter a minister, or to exempt each other from the exercise of faithful discipline. It is not mere benevolence itself. It is complacency in the Divine image.—It is a union of heart, like that of Ruth to her mother-in-law. Christian love is love for Christ’s sake. This last remark, I suppose, furnishes a clue for its being called “a new commandment.” The old commandment required benevolence, or love to our neighbour; but this is complacency in Christ’s image, or the love of Christians as such. And being introductory to the New Testament or gospel dispensation, under which the church should be composed of believers only, it is suited to it. Personal religion is now to be the bond of union. This was never so expressly required before. This is more than love to our neighbour, or benevolence; this is brotherly love, or complacency in each other as brethren in Christ, Rom. 12:10; Heb. 13:1. This is genuine charity, 1 Cor. 13. Andrew Gunton Fuller, The Complete Works of Andrew Fuller: Memoirs, Sermons, Etc., ed. Joseph Belcher, vol. 1 (Harrisonburg, VA: Sprinkle Publications, 1988), 523. Last Thursday many evangelicals remembered the bicentennial anniversary of the death of the great Baptist theologian, Andrew Fuller (1754-1815). Fuller’s theology and spirituality has affected me personally in numerous ways. Probably the first and most enduring influence of Fuller on my own piety has been his heavenly-mindedness. A vision of heaven and the promised reward of being forever with the Lord captivated Andrew Fuller’s soul. From the sweetness of his heavenly meditations he penned the funeral sermon for Beeby Wallis at Kettering in April 1792. Wallis was a deacon of the Baptist church in Kettering. He served as the first treasurer of the Baptist Missionary Society (BMS). Fuller preached on “The Blessedness of the Dead Who Die in the Lord”. Though intending to eulogize and memorialize Wallis, Fuller spent the majority of his sermon expounding on biblical themes such as the need for Christian perseverance, the promise of rewards, heavenly rest, earthly labour, true blessedness, and the inevitability of death. Fuller sought to strengthen the hearts of his mourning hearers who had followed Christ even amidst affliction. He did this by elucidating the aforementioned themes, specifically the promises of heavenly rest and rewards. Fuller’s chief text upon which he meditated for this sermon was Revelation 14:13, which says, “And I heard a voice from heaven saying unto me, Write, Blessed are the dead which die in the Lord from henceforth: Yea, saith the Spirit, that they may rest from their labours; and their works do follow them.” Fuller began by stating the original telos of this passage: “The original design of the passage seems to have been to support the afflicted followers of Christ in times of persecution.” Yet, he said that though this passage was originally intended “to arm the holy martyrs against the terrors of death”, it does seem that it could be generally applied to Christians under other degrees of affliction as well. First, he discussed the character of those “who die in the Lord”. They are necessarily united to Christ, as in a marriage union where two parties are united by mutual affection, common pursuits, and identical causes. So, death is the introduction of the believer’s full union with Christ. And being in this union, he described believers who die as abounding in good works just as a branch necessarily bears fruit since it is united to the vine. Second, Fuller said that part of the blessedness observed in this passage comes from the voice from heaven, which demonstrates that heaven values the saints’ homecoming whereas fallen man values worldly prosperity and security. Third, that John was commanded to write down this verse indicates the enduring blessedness of its promise for believers of all ensuing generations. Fourth, Fuller said that the phrase, “from henceforth,” refers to the time of their souls’ departure from the body in physical death. Fifth, two aspects of this post-death blessedness are rest from labours and the glorious reward of good works. And, it is in this fifth observation that Fuller expounded two predominant themes: rest from labour and rewards of grace. When under great anguish, he one day said to his son, “All misery is concentrated in me!”—“Bodily misery only, I suppose, father?”—“Yes: nothing else.” But the expression which he used to Mr. Blundell of Northampton, was the most characteristic of any of which I have been informed—“My hope is such that I am not afraid to plunge into eternity!” On the Lord’s-day morning on which he died, May 7, 1815, he said to his daughter Sarah, “I wish I had strength enough . . . She asked, “To do what?” He replied, “To worship, child.” Soon after, his daughter Mary entering the room, as soon as he understood who it was, he said “Come, Mary, come and help me.” He was then raised up in bed, and for the last half-hour appeared to be engaged in prayer. His children surrounded his bed, listening attentively, to catch, if possible, the last words of their dying parent: but nothing could be distinctly heard, but, “Help me!” Then, with his hands clasped, and his eyes fixed upwards, he sunk back and expired. Andrew Fuller, The Complete Works of the Rev. Andrew Fuller with a Memoir of His Life by Andrew Gunton Fuller, 3 vols., ed. J. Belcher (Philadelphia: American Baptist Publication Society, 1845; repr., Harrisonburg, VA: Sprinkle, 1988), 1:152. John Ryland, The Work of Faith, the Labour of Love, and the Patience of Hope, Illustrated; in the Life and Death of the Rev. Andrew Fuller, Late Pastor of the Baptist Church at Kettering, and Secretary to the Baptist Missionary Society, from Its Commencement in 1792, Chiefly Extracted from His Own Papers, Extracted by John Ryland, D.D. (London: Button & Son, Paternoster Row, 1816), 550. Evan Burns (Ph.D., The Southern Baptist Theological Seminary) is on faculty at Asia Biblical Theological Seminary, and he lives in Southeast Asia with his wife and twin sons. They are missionaries with Training Leaders International. He also works as the Director of the M.A. in Global Leadership program at Western Seminary. On Thursday, May 7th, we observed the 200th anniversary of the death of Andrew Fuller (1754-1815). Fuller was one of the most significant Baptist theologians in history. Charles Haddon Spurgeon (1834-1892), the nineteenth-century Prince of Preachers, called Fuller "the greatest theologian" of his century. Fuller was the theologian behind the Modern Missionary Movement most commonly associated with the efforts of William Carey. There was a lot of chatter on social media about Andrew Fuller, much of which directed people to examine this website for more information about the life and legacy of Fuller. Several blog posts were written to commemorate the anniversary also. Below are links to some of these posts with a brief excerpt or description of the post. Michael A.G. Haykin - Newman on Fuller: A reflection on the 200th anniversary of the death of Andrew Fuller Dr. Haykin posted here on the legacy of Fuller through the lens of a reflection by the prominent Baptist historian Albert H. Newman. Also this week, two articles by Dr. Haykin on Fuller were published. The first in Southern Seminary's Towers magazine "‘The very picture of a blacksmith’: The life and legacy of Andrew Fuller" and the second in Credo Magazine "The Making of a Great Theologian: Remembering Andrew Fuller." No historical author outside of the Bible has influenced my thinking as significantly as Andrew Fuller. What draws me to Fuller’s life and writings is that he addresses everything with the sober-minded clarity of a working pastor. His work as a theologian, apologist, and missionary never lost sight of Jesus, his church, and his gospel. No topic Fuller addresses is treated in an abstract and hypothetical way, but rather, he treats it as having concrete implications for week-by-week gospel preaching, congregational worship, pastoral care, and church governance. READ MORE. Jeremy Walker - Over at the Reformation21, Jeremy Walker acknowledged the anniversary of Fuller's death by posting on Andrew Fuller's dying words. Steve Weaver - I posted on my personal blog on "Andrew Fuller's Dying Hope," relying on testimony from Fuller's son, Andrew Gunton Fuller. If you're unfamiliar with Fuller, these links will help you to be introduced to this important thinker and doer. If you are already familiar with Fuller, perhaps these links will help you to join us in giving thanks to God for this gift to the church. 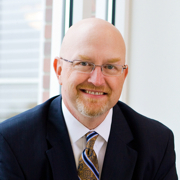 Steve Weaver serves as a Teaching and Research Associate with the Andrew Fuller Center for Baptist Studies and is a fellow of the Center. He also serves as senior pastor of Farmdale Baptist Church in Frankfort, KY. Steve and his wife Gretta have six children between the ages of 4 and 16. As I did not engage in controversy from any love I had to the thing itself, so I have no mind to continue in it any further than some good end may be answered by it…. There is a point in all controversies beyond which they are unprofitable and tedious. When we have stated the body of an argument, and attempted an answer to the main objections, the most profitable part of the work is done…. A reflection or two shall conclude the whole. However firmly any of the parties engaged in this controversy may be persuaded of the goodness of his cause, let us all beware of idolizing a sentiment. This is a temptation to which controversialists are particularly liable. There is a lovely proportion in Divine truth; if one part of it be insisted on to the neglect of another, the beauty of the whole is defaced; and the ill effects of such a partial distribution will be visible in the spirit, if not in the conduct, of those who admire it. Further, Whatever difficulties there may be in finding out truth, and whatever mistakes may attend any of us in this controversy, (as it is very probable we are each mistaken in some things,) yet, let us remember, truth itself is of the greatest importance. It is very common for persons, when they find a subject much disputed, especially if it is by those whom they account good men, immediately to conclude that it must be a subject of but little consequence, a mere matter of speculation. Upon such persons religious controversies have a very ill effect; for finding a difficulty attending the coming at the truth, and at the same time a disposition to neglect it and to pursue other things, they readily avail themselves of what appears to them a plausible excuse, lay aside the inquiry, and sit down and indulge a spirit of scepticism. True it is that such variety of opinions ought to make us very diffident of ourselves, and teach us to exercise a Christian forbearance towards those who differ from us. It should teach us to know and feel what an inspired apostle acknowledged, that here we see but in part, and are, at best, but in a state of childhood. But if all disputed subjects are to be reckoned matters of mere speculation, we shall have nothing of any real use left in religion. Andrew Gunton Fuller, The Complete Works of Andrew Fuller, Volume 2: Controversial Publications, ed. Joseph Belcher (Harrisonburg, VA: Sprinkle Publications, 1988), 510-11. Evan Burns (Ph.D. candidate, The Southern Baptist Theological Seminary) is on faculty at Asia Biblical Theological Seminary, and he lives in Southeast Asia with his wife and twin sons. They are missionaries with Training Leaders International. He also works as the Director of the M.A. in Global Leadership program at Western Seminary. 30 Days of Devotions: From the Sermons of Andrew Fuller, ed. Joshua C. Breland (Wake Forest, NC: Evangelical Heritage Press, 2015), [iv]+57 pages. Recently doing some work on the fourth-century theologian Athanasius, I used a database to search for articles on him and came up with some 1400 separate items in a few seconds. I thought I would do a similar search for Andrew Fuller, my favorite theologian, and came up with considerably less: about sixty. All of this is to simply say that although a renaissance of Fuller studies is underway—to quote fellow Fuller scholar Nathan Finn—things are still very much in their infancy. Understandably, it was with great joy that I came across a reference to this new Fuller item by Joshua Breland, who is a grad student at our sister seminary, Southeastern Baptist Theological Seminary. The title accurately reflects the book’s contents. The book is divided into a month of readings from the sermonic corpus of Fuller. Heading each selection is simply the number of the day, 1st, 2nd, 3rd, and so on. There is no reading for the 31st day of such months as January, March, etc. At the end of each reading the sermon from which it is drawn is indicated by a reference to the sermon by Roman numeral. For example, the reading for the 10th day of the month comes from “Sermon XI.” To find out which sermon this is, one has to turn to the back of the book, where ninety-two of Fuller’s sermons are listed by title and biblical text upon which they are based. Curiously, though, there is no indication from which edition Breland has drawn his selections. It appears to be the three-volume Sprinkle edition (a 1988 reprint of an 1845 edition), which contains the exact same listing of sermons in the first volume. As with any book of selections like this, there is a certain degree of personal eclecticism evident. Breland’s choices are not exactly the ones I would have chosen—and I am sure, the same would be true vice versa. What he has chosen, though, is a good cross-section of Fullerism: from reflections on the nature of justification (the reading for the 4th day of the month, p.5–7) to the vital necessity of love (the reading for the 10th day of the month, p.15–17). And as is typical with Fuller’s works, there is the Puritan characteristic of making pithy statements that continue to resonate in the reader’s mind long after he/she has put the book down. For example, at the very close of the reading for the 17th day, Fuller sums up what he has been saying thus: “The union of genuine orthodoxy and affection constitutes true religion” (p.28)—so true. One thing I missed are footnotes to biblical texts cited and a footnote for the occasional personal reference. For instance, in the selection for the 25th day, Fuller refers to an observation by “dear Pearce” about the cross (p.42). He is, of course, referring to his close friend Samuel Pearce (1766–1799), whose memoirs he had written. But the reader new to Fuller would have no idea who he is talking about. The introduction is a brief, but adequate, introduction to Fuller and his ministry. Though, even a Fullerite as ardent as myself was surprised by the statement that Fuller was “perhaps the greatest model of a pastor-theologian the world has ever seen” (p.iii). These quibbles aside, I was thrilled to see this devotional from the sermons of a man from whom I have learned so much. Andrew Fuller (1754-1815) wholeheartedly affirmed the sovereignty of God and the biblical doctrine of election. He also wholeheartedly affirmed the obligation to preach the gospel to all men and persuade all men to turn to Christ by faith. According to Fuller, the sovereign creator God is best glorified by the urgent and promiscuous proclamation of the gospel to all men. Fuller was a theologian, and an apologist, but he was foremost a pastor and his treatment of the relationship between election and gospel preaching is as helpful as I have ever read. Below, under the first heading I have excerpted a Fuller article, “Connections of the Doctrine of Election in the Scriptures,” in which he offers a positive affirmation of the biblical doctrine of election. The subsequent headings are excerpts from Fuller’s, Gospel its Own Witness, where he explains what he sees as the abuse of the doctrine of election in preaching and his recommendations for a biblical, Christ-centered approach to the relationship between election and gospel preaching. I have added the headings and updated a few spellings. [Election] is introduced to declare the source of salvation to be mere grace, or undeserved favor, and to cut off all hopes of acceptance with God by works of any kind.—In this connection we find it in Rom. 11:5, 6, “Even so then, at this present time also, there is a remnant according to the election of grace; and if by grace, then is it no more of works; otherwise grace is no more grace: but if it be of works, then is it no more grace; otherwise work is no more work.” All compromise is here forever excluded, and the cause of salvation decidedly and fully ascribed to electing grace. But love, as exemplified in the patrons of this system, is mere favoritism. God having as they conceive made them his favorites, he becomes on that account, and that only, a favorite with them. Nor does it appear to have any thing to do with goodwill to men as men. The religion of the apostles was full of benevolence. Knowing the terrors of the Lord, they persuaded men, and even besought them to be reconciled to God. 1 Fuller, A. G. (1988). The Complete Works of Andrew Fuller: Expositions—Miscellaneous. (J. Belcher, Ed.) (Vol. 3, p. 808). Harrisonburg, VA: Sprinkle Publications. 2 Fuller, A. G. (1988). The Complete Works of Andrew Fuller: Controversial Publications. (J. Belcher, Ed.) (Vol. 2, p. 737-738). Harrisonburg, VA: Sprinkle Publications. David E. Prince is the Pastor of Preaching and Vision at Ashland Avenue Baptist Church in Lexington, KY. Check out his personal blog at Prince on Preaching.